San Michele is the Italian name of the Archangel Michael and also represents various locations and churches in Italy, the most well-known being Isola di San Michele, an island in the Venetian lagoon in Northern Italy. 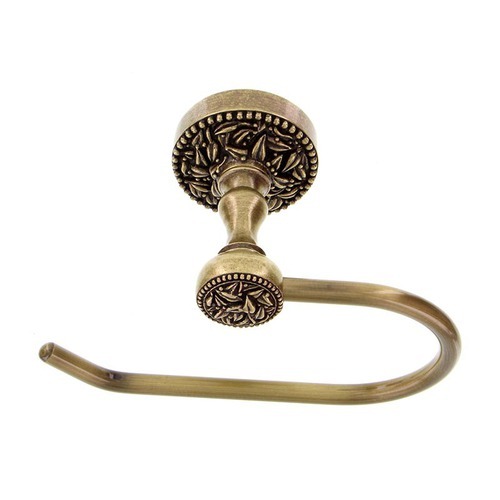 Vicenza Designs brings the Venetian look and feel to your home through the San Michele collection of knobs, pulls, door handles, bathroom accessories and more. The solid pewter toilet paper holder is available in French or spring mounts. Comes complete with installation hardware. Available finishes include Antique Brass, Antique Copper, Antique Gold, Antique Nickel, Antique Silver, Gunmetal, Oil-Rubbed Bronze, Polished Gold, Polished Nickel, Polished Silver, Satin Nickel and Vintage Pewter. Mounting hardware is included. 100% lead free pewter. Handcrafted in the USA.